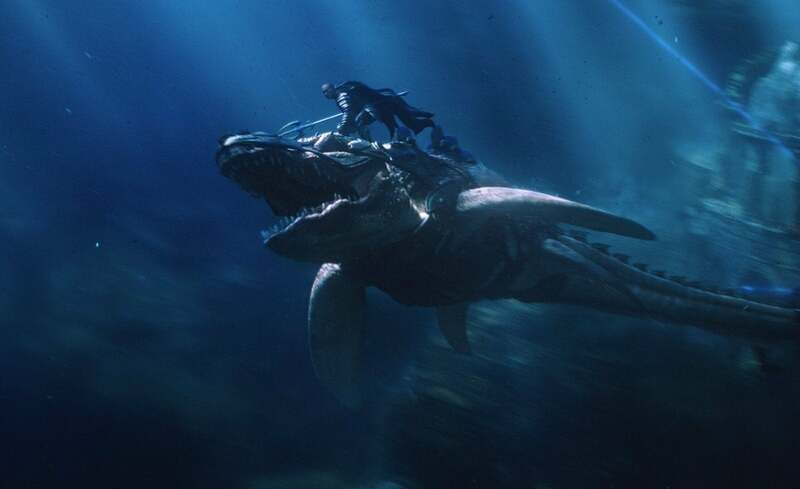 Aquaman director James Wan has released a new image of King Orm, played by Patrick Wilson, riding the giant underwater creature called as tylosaur. The creature makes for a steed worthy of a king. Wilson has spoken previously about what motivates King Orm in the film. Those feelings likely lead to tension with Orm’s half-brother, Arthur Curry, played by Jason Momoa. Aquaman is only half-Atlantean, his father being a surface dweller. Wan has worked with Wilson previously on The Conjuring universe. He has said previously that he just knew Wilson was the perfect actor to play Orm. Speaking to ComicBook.com, Wan has discussed the importance of putting his own touch on Aquaman. What do you think of King Orm's mighty underwater steed? Let us know what you think in the comments section! Other upcoming DC Extended Universe movies include Wonder Woman 1984 on November 1, 2019, Shazam on April 5, 2019, Birds of Prey on February 7, 2020, Cyborg in 2020, and Green Lantern Corps in 2020.